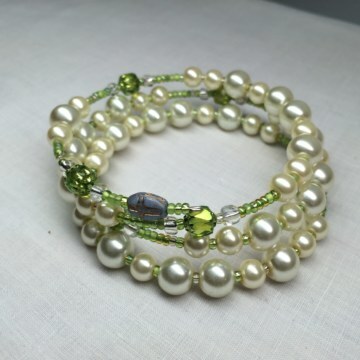 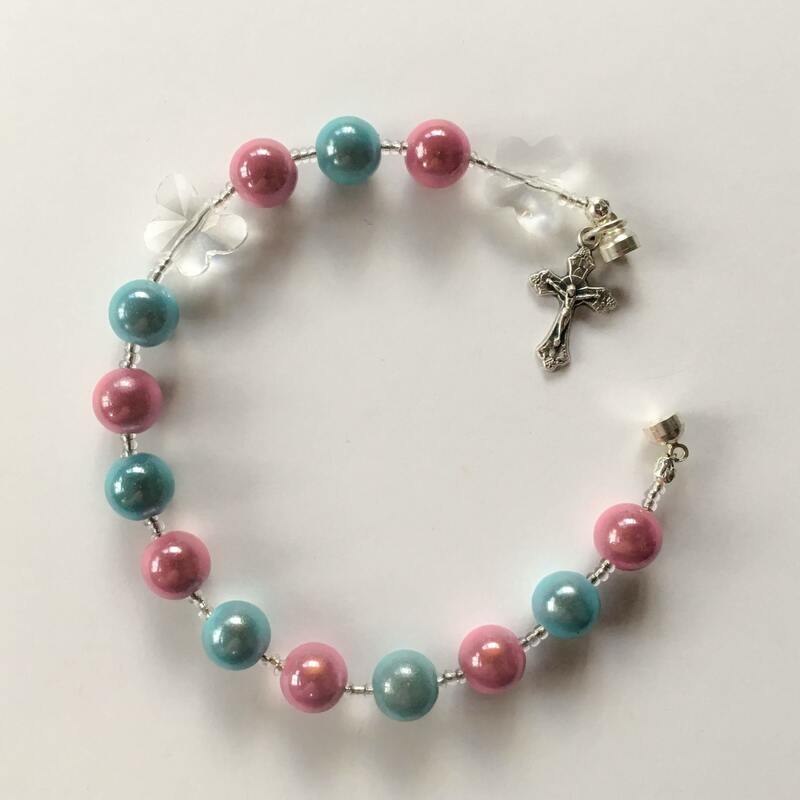 The Remember Decade Bracelet was created in prayer for the littlest of souls in heaven. 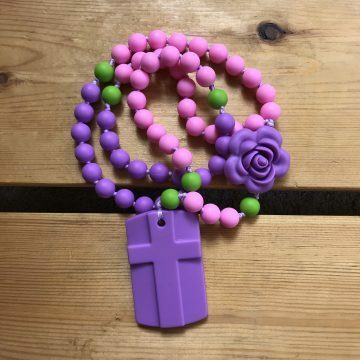 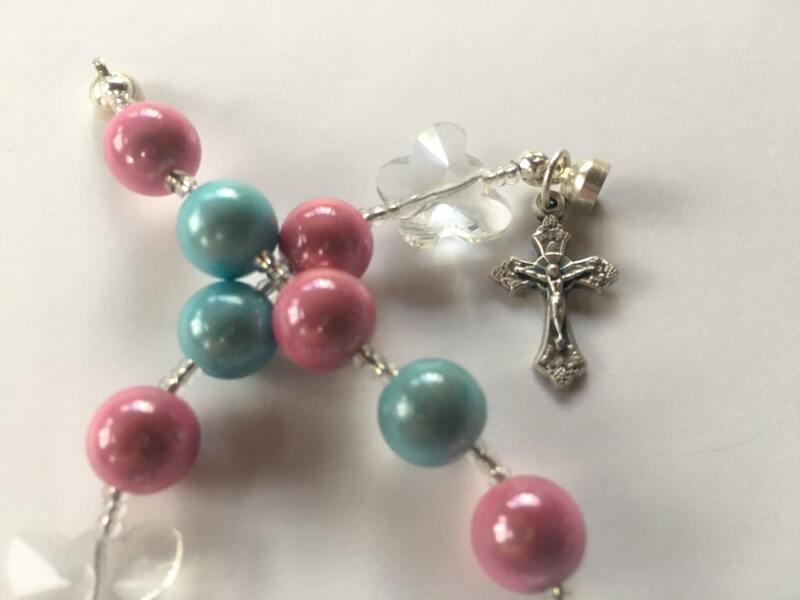 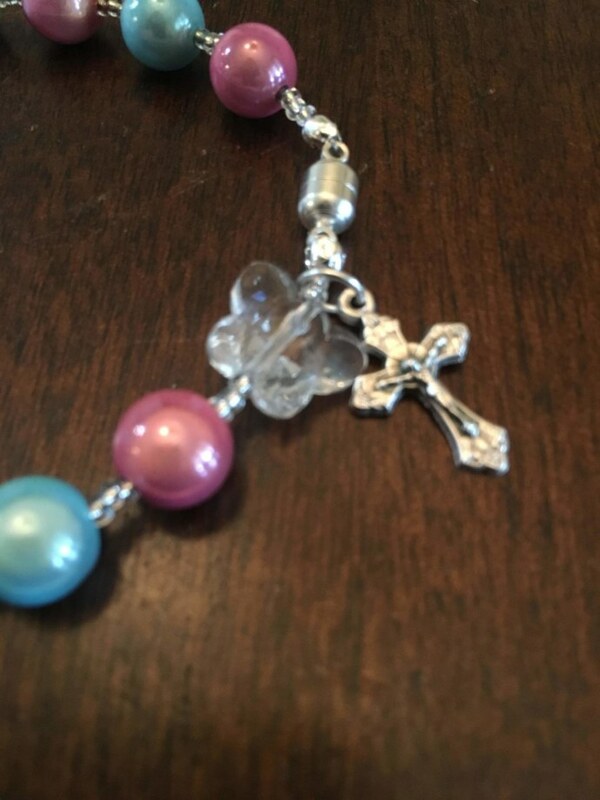 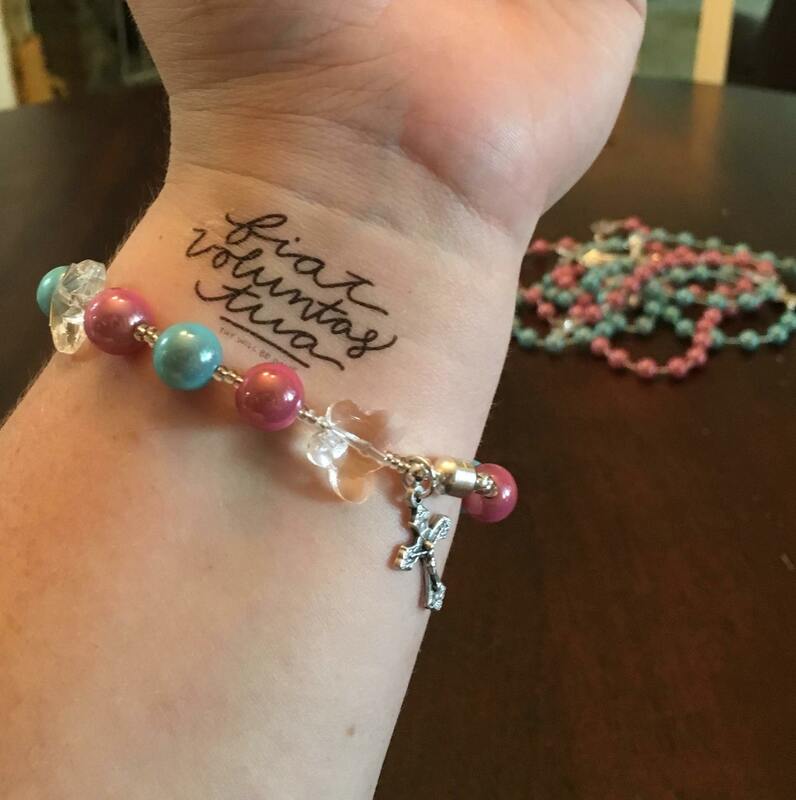 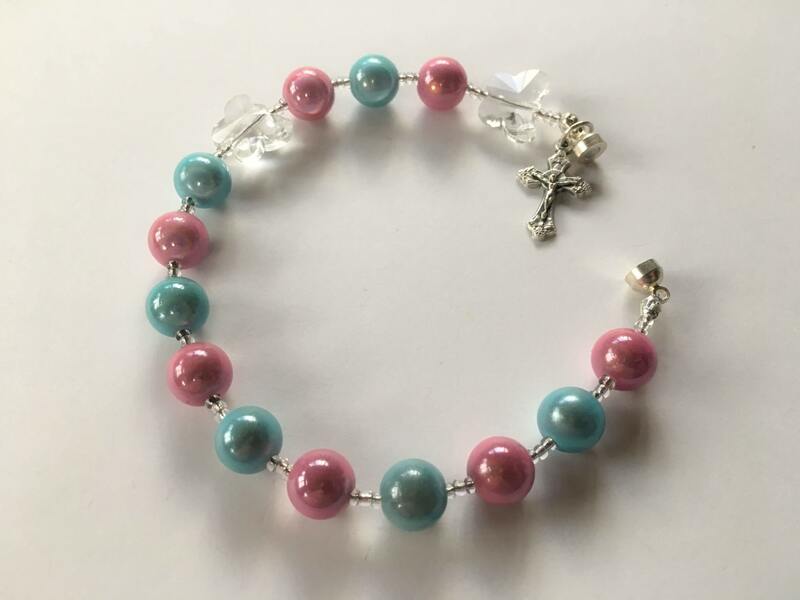 These stunning pink and blue beads have a unique depth to them with which to ponder as you pray. 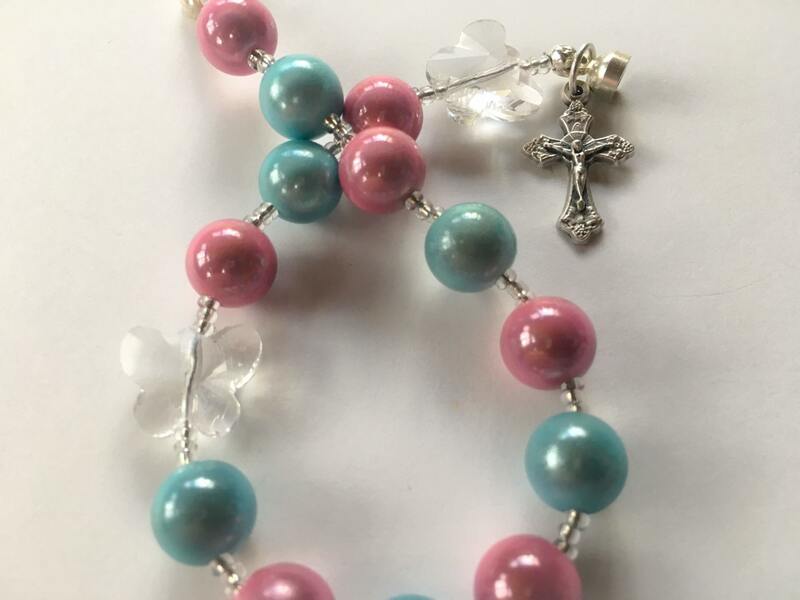 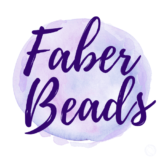 The clear butterfly beads were chosen because butterflies often represent lost loved ones.